“Marigold is a fairly unusual ingredient. Its fruity and aromatic facets contrast harmoniously with the fresh and natural tones of jasmine sambac. Together they capture the vibrancy of an Indian flower market,” says Mathilde Bijaoui, Jo Malone Master Perfumer. 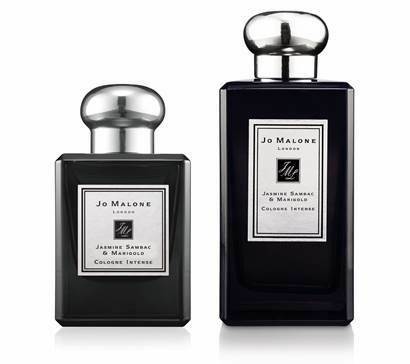 TheChicGeek says, “The green, hypnotic fragrance of the Arabian jasmine is the star here. It’s the kind of fragrance you want to inhale as deeply as possible to make it last longer. The top is marigold, which I didn’t think had much a scent(? ), and the base is benzoin, a balsamic resin from the bark of the Styrax tree. 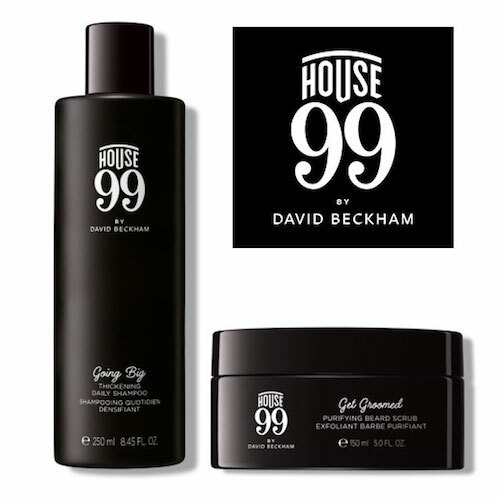 Created by David Beckham in partnership with L’Oréal, HOUSE 99 is said to take a holistic approach to grooming, merging British barbershop culture and style with hair, skin, beard and tattoo creativity to build a home for every man’s next look. Twenty one products named after David’s favourite year; he has ’99’ tattooed on his hand to mark a momentous year in both his personal life and career. He married Victoria, his eldest son, Brooklyn was born, and Manchester United won the treble. Quinoa and spirulina form the heart of HOUSE 99’s formulas, chosen specifically by David Beckham for their health-boosting properties, as a prominent sportsman. These natural protein-rich actives combine the essential constituents needed by hair and skin that can’t be synthesised by the body. TheChicGeek says, “Does the world need 21 new grooming products from David Beckham? Probably not. Will it be successful? Probably. The thing about the current grooming market, this massive need for new shelf space will displace or replace existing brands. 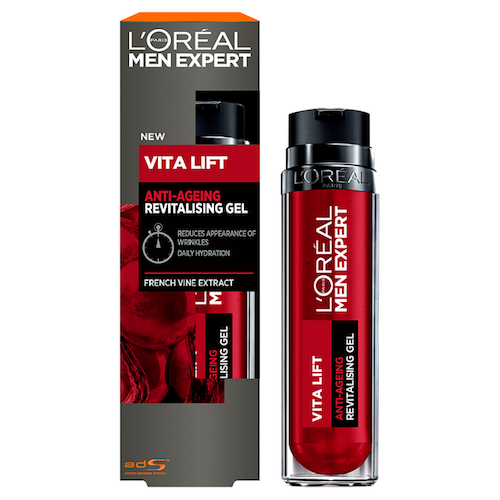 I’m not sure why L’Oréal didn’t just put David Beckham into their Men Expert range or make the new Barber Club his imput. Both need more identity, editing and personality. But, I can see why they’ve done a separate range when I look at the prices. It’s more expensive than I initially thought or looks - £17 for a face wash, £22 for moisturiser. I tried three products: Greater Look Face Moisturiser, Purefectly Clean Face Wash and Truly Brighter Eye Balm. The only thing of interest was the peppermint tingle in the face wash. 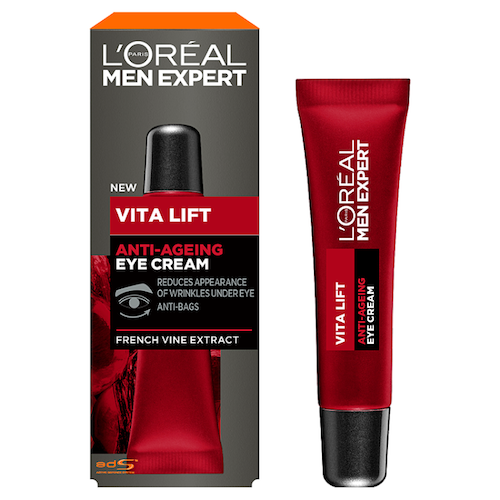 The ‘Eye Balm’ is a bit too thick for such a delicate area. Overall, I’m not sure where this fits. It’s priced to compete with Clinique and Lab Series, but it's packaged to compete with Nivea and Bulldog. I’m not sure what you’re paying a premium for other than for Golden Balls’ name. I also think launching 21 products at once is overwhelming and it’s a lot for anybody to take in. Modern grooming needs to be simple. 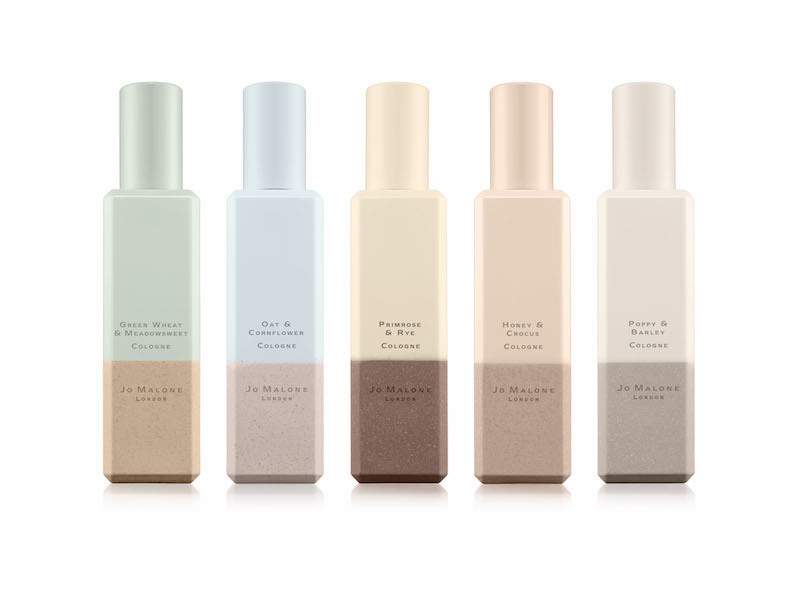 This year’s limited-edition range of Jo Malone scents is inspired by English fields. “Sunlight skipping across golden fields. Plentiful. Rich with precious grains. Hearty oat. Fluffy barley. Earthy rye. A warm and wholesome celebration. Cooled by the freshness of flowers. Poppies. Primroses. Cornflowers. Alive with colour. Dancing happily to the hum of crickets. The buzz of bees. The essence of the English landscape in five captivating scents,” or so the blurb goes. I can feel a Sting song coming on! TheChicGeek says, “ The five scents are; Poppy & Barley, Primrose & Rye, Oat & Cornflower, Honey & Crocus and Green Wheat & Meadowsweet. The middle, gourmand three are the most interesting; the other two I think you can find elsewhere. Primrose & Rye is pure holiday sunshine. It has that dry sun-tan lotion smell - a bit like Tom Ford’s Soleil Blanc - from the mimosa and vanilla. The Oat & Cornflower smells really oaty with a hint of hazlenut, while Honey & Crocus, many people's favourite, smells like an almond biscuit, in a good way. The honey and almond milk will certainly get those saliva glands operating. I think they need to pump this into supermarkets to make us buy more! 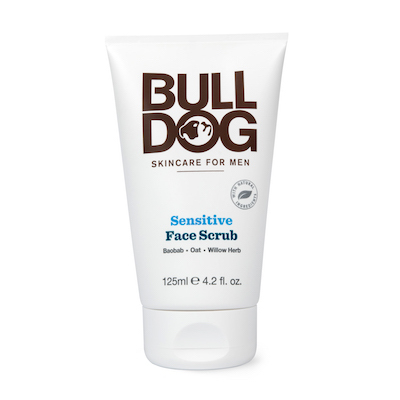 Bulldog Skincare For Men has added a fragrance-free and gentle face scrub to their ‘Sensitive’ range. The new, skin-smoothing scrub contains sustainably sourced quinoa husk - a by-product of the food industry - sweet almond, baobab and oat oil, and willow herb. It helps to improve skin texture by removing dead skin and leaving a fresh complexion. Baobab oil has a high emollient power and is known for its skin smoothing and moisturising properties. 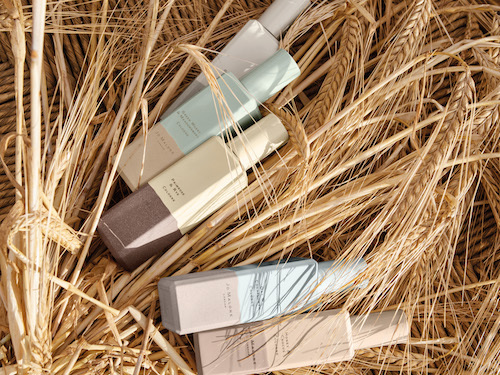 Oat oil, grown and harvested in the UK, is known for its effective skin emollience and natural skin softening properties. Canadian willow herb, a unique plant from the Northern Canadian prairies, has developed strong multi-functional phytochemical properties to survive the harsh climate. TheChicGeek says, “This looks and smells good enough to squirt on your breakfast cereal. The recommended usage is once to twice a week or pre-shave, but I’d say you can use as often as you like. It’s soft and gentle and being ‘sensitive’, it’s less likely to irritate even the most sensitive of skin. You can feel the ‘beads’, but it’s not coarse at all. If you like your face scrubs like sandpaper then this probably isn't for you. I also like the fact Bulldog’s new packaging is now made from sugarcane." 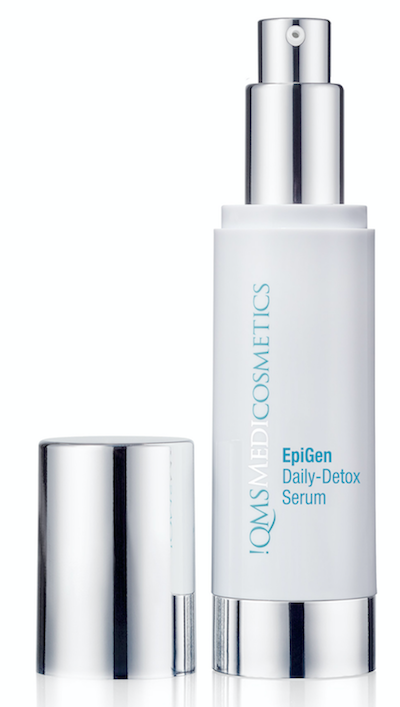 Inspired by Epigenetic - (Dictionary definition) relating to or arising from non-genetic influences on gene expression - science, QMS’ EpiGen Daily-Detox Serum has been specifically designed to address the damage increasing levels of pollution is having on our skin. 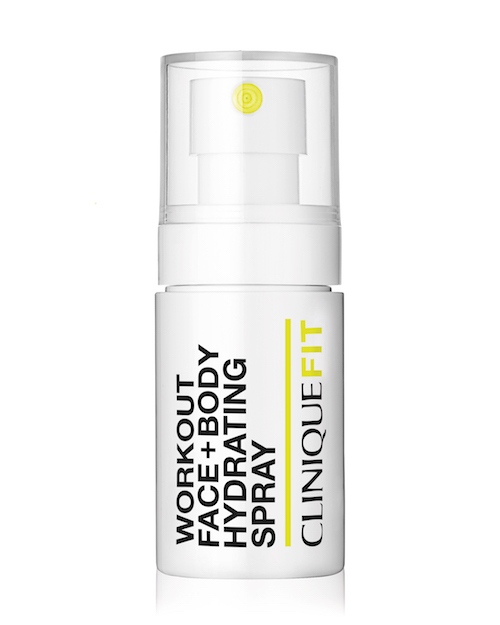 Central to its formula is the innovative Epigenetic-Peptide which mimics the function of Royalactin (royal jelly protein), this has a positive effect on the regeneration of the epidermis and in combination with the other advanced-performance ingredients delivers targeted action against the impact of pollution on the skin. Key ingredients include PCW-Skin Relaxing Extract from the Swiss stone pine which reduces local redness and age spots, resulting in a more even skin appearance, Matrikine Complex, a special messenger peptide (matrikines) playing a role in skin repair processes and GCI-Peptide which maintains genomic integrity by protecting and repairing DNA damage. TheChicGeek says, i “I hadn’t heard of QMS before, so this was the first product I’ve tried. I was fortunate to meet the brains behind the brand, Dr. Erich Schulte. A plastic surgeon from Germany, he founded QMS to get his patients’ skin into tip-top shape before they went under the knife. Ouch. He says one of the biggest stressors of skin, after UV damage, is pollution and with London’s current problem, this is easy to believe. The rising levels of microscopic pollutant particles in the air can lead to skin irritations, increased sensitivity, hyper-pigmentation, premature skin ageing, clogged pores and acne. These particles are so small they can penetrate right down to the epidermis and this is where the damage starts. This goes on once a day, in the morning, under your moisturiser. It’s probably one of the most expensive products I’ve tried - £167 for 30ml!! It’s good, but it’s hard not to be shy with it when you think about how expensive it is. Though, as it’s once-a-day, it should last a reasonable amount of time. QMS stands for 'quick magic skin', and Dr. Schulte says the exclamation mark, before !QMS, was inspired by German designer, Wolfgang Joop - JOOP!. He thought it would intrigued people to know more about his nascent skincare brand.